The AFC North isn’t your typical division, to say the least. While they have plenty of talent on the defensive side of the ball, the offensive playmakers seem to largely be spread out across two teams. It’s really no surprise that those two teams are also the two that are widely considered as the best in the division. To this point, we’ve checked out the top offensive playmakers in a few other divisions, including the NFC East, and AFC East, to name a few, but now it’s time to get to the AFC North. Let’s jump into it with the No. 10 best offensive players in the division. It may have taken him until he was 30 years old to hit his stride, but did he ever hit it. 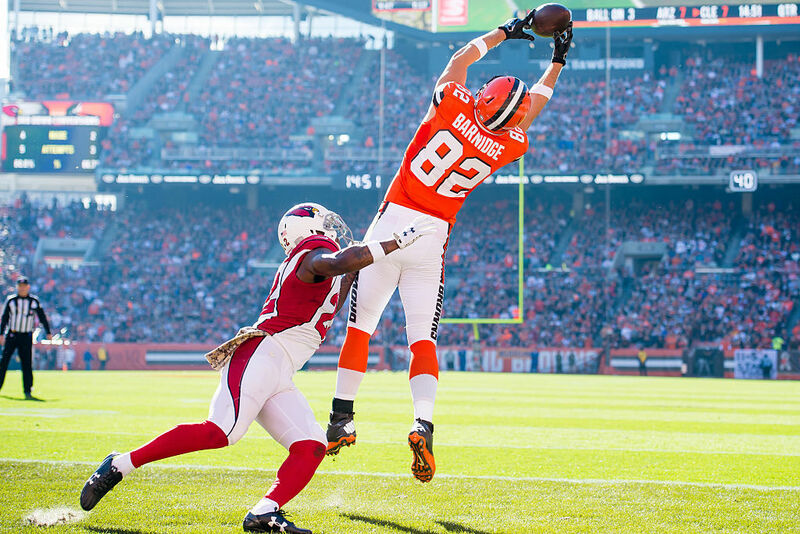 The 2015 season for Gary Barnidge was simply incredible. He went from having three total touchdowns in four years to scoring nine last season alone. He caught 79 passes, which nearly doubled his career total, for 1,043 yards as well. If he’s able to build a connection with Robert Griffin III in 2016, he could be in for yet another special season. While Martavis Bryant will miss the entire 2016 NFL season, it’s hard to ignore what he’s done in limited action to this point in his career. Over just 21 games in two seasons, he’s caught 76 passes for 1,314 yards and 14 touchdowns. He’s the ultimate deep threat, as he’s averaged 17.3 yards-per-reception to this point in his career. Bryant is a downright scary, athletic playmaker. Giovani Bernard makes this list at No. 8 for a few reasons. The first is that he’s your ultimate dual-threat running back. Through three seasons, he’s rushed for 2,105 yards and 12 touchdowns, while totaling 148 receptions, 1,335 receiving yards, and five receiving touchdowns. There’s just a ton to love about Bernard’s game, and while Jeremy Hill may be the goal-line running back for this team, Bernard is the player who truly strikes fear into the hearts of opponents. Tyler Eifert has experienced a couple interesting seasons in the NFL to this point. After starting out his career with a solid rookie season — featuring 39 receptions for 445 yards and two scores — injuries struck in 2014. Eifert played in just one game, and largely flew under the radar heading into 2015. He hit the ground running last season though, totaling 52 receptions for 615 yards in 13 games, and scoring an impressive 13 touchdowns along the way. Eifert has just scratched the surface of his potential, and it’s obvious that he and Andy Dalton have a strong connection. Now for the man who actually throws to Eifert; Dalton suffered an injury that forced him to miss three games, yet he still had one of the best years of his career. If he had played in all 16 games, it would have been another level of impressiveness, but he wound up completing 66.1% of his passes for 3,250 yards, 25 touchdowns, and a career-low seven interceptions. Dalton was simply stellar last season, and it seems likely that he may have turned the corner. Call him an old man if you want, but this guy is still trucking right along. Before getting injured in 2015, the then-36-year-old Steve Smith had caught 46 passes through just seven games, good for 670 yards and three touchdowns. In the prior season, he caught 79 passes for 1,065 yards and six touchdowns. There’s no loss of talent here it seems. Even though he’ll be 37 years old during the 2016 season, Smith still has enough left in the tank to produce at a high level. Two Super Bowl rings and a whole lot of praise league-wide has helped Ben Roethlisberger work his way up this list. While 2015 was a bit of an off year for Roethlisberger due to injuries, we can look back at 2014 to see exactly what he’s capable of. 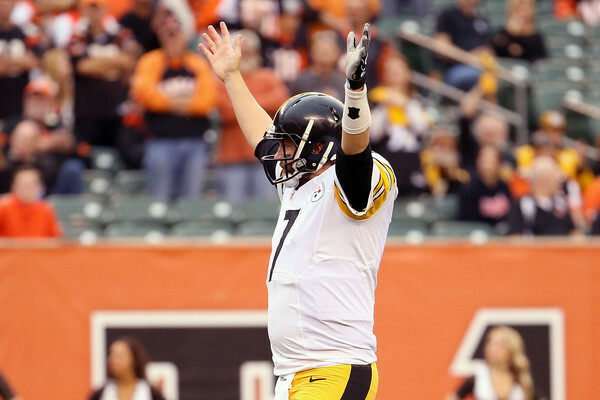 During that season, Roethlisberger completed 67.1% of his passes for nearly 5,000 yards (4,952, to be exact), while throwing 32 touchdowns against just nine interceptions. He’s one of the top quarterbacks in the league today. A.J. Green has been in the league for five years, never falling below the 1,000-yard receiving mark. He also scored 45 touchdowns over those five seasons, which includes the 2014 season in which he only played in 13 games due to injuries. Green is ridiculously talented, and has seen a ton of targets come his direction pretty much from the minute he entered the league. Over his five years, he has 708 total targets with 415 receptions. He’s absolutely lived up to the hype of being the No. 4 overall pick in the 2011 NFL Draft. Le’Veon Bell is simply elite, and while he’s struggled with injuries, it’s hard to place him anywhere outside of the top two in this division. 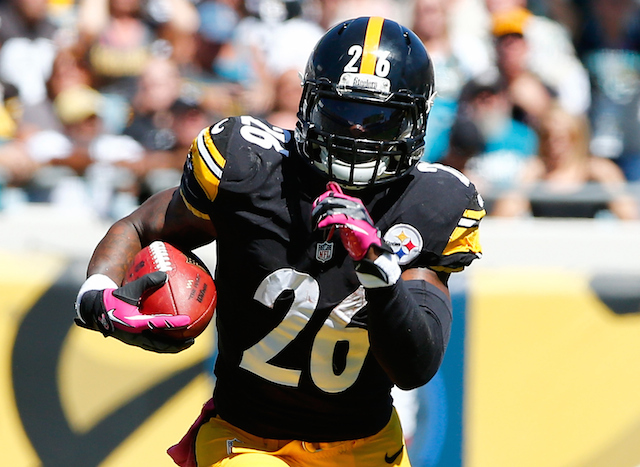 Through 35 career games, Bell has 2,777 rushing yards, 19 rushing touchdowns, 152 receptions, 1,389 receiving yards, and three receiving touchdowns. He’s the ultimate dual-threat running back, and there may not be a better back in the NFL when healthy. There’s only one player who could top him on this list, and it’s one of his teammates. 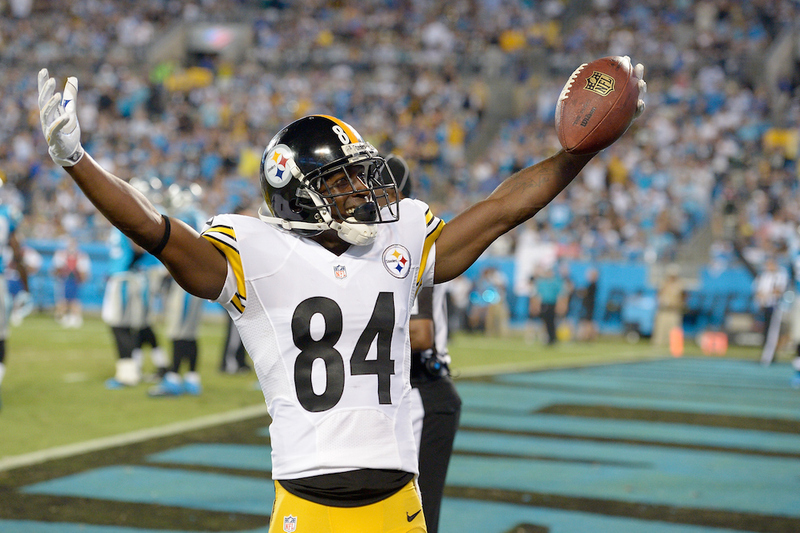 What is there to say about Antonio Brown? He’s coming off a season in which he caught 136 passes on 195 targets, for 1,834 yards and 10 touchdowns. Craziest of all, he did it without Roethlisberger at times, and had Landry Jones, and Michael Vick tossing him the ball. If you think last season was some type of a fluke, consider that he had 129 catches for 1,698 yards and 13 touchdowns in 2014, and 110 catches for 1,499 yards and eight touchdowns in 2013. There may not be a better wide receiver in the entire NFL. At age 28, Brown has plenty left in the tank to continue dominating for years to come.